APUK helped Gloria to gain entry into St Francis' College and assisted her throughout her UK school journey. We helped her to choose and apply to universities and she received offers from all of her top choices. "I came to England when I was 13 years old and the school I went to was St Francis' College. Now I am in Durham University studying Anthropology. My modules are based on studies of humans from different perspectives. Without APUK I would not have been able to enter this great university. Therefore, I really appreciate what they have helped me with. If it is possible, I would recommend APUK to those friends who would like to study in the UK. APUK helped me with finding a suitable degree for me at university and made many suggestions on my personal statement which definitely put me through the tough competition. Also when I was struggling with my A-levels, they found tutors to help me improve my grades." Although Sara did not achieve her predicted grades at A-level, APUK ensured her continued education in the UK by enrolling her onto a foundation course prior to her undergraduate degree. "When I graduated from Westonbirt School, I had problem with my IELTS, so APUK helped me to find all the schools that allowed me to study, and I really thank them for helping me to get in Brighton University as it was the only university I really liked when I applied through UCAS. I am very satisfied with all the services you provided to me. Also I am really happy to recommend APUK to my friends if they need it." Jane had a problem with her visa but APUK managed to enrol her onto an Art Foundation Course at Brighton University within weeks of starting. She then went on to study a Jewellery Design degree at Glasgow School of Art. "The suggestions I received from APUK about the schools, universities and short courses was very suitable for me. When I was not sure of my direction and had questions about study, the discussions that I had with my APUK consultant always gave me strong support. The advice that they gave for IELTS, university preparation and personal statement was very helpful and gave me more confidence. When there was a problem with my visa application, APUK gave me full support immediately and helped me with my foundation application in a short time. In the future I am looking forward to be a jewellery designer and painter. But after my degree I would love to do my master in London. I am very happy with the service APUK provided in the suggestion of universities and courses for extra support. I would recommend them." APUK successfully helped Renee to gain admission into Bromsgrove School and later placed her at Cass Business School. We also arranged for her to speak to JPMorgan in Shanghai about her career prospects. "When I was completing A-levels and at the stage to choose universities, I was recommended Cass Business School that I was not familiar with. But after appraising the school through APUK and open days etc., I truly found they had the best financial course there was for me. Without APUK's recommendation, I would not know that Cass had such a strong programme. I was totally satisfied with my university placement, so continued my Master degree in Cass. Through APUK's service one can get more suggestions on universities and courses that works for different interests. In terms of getting better A-level grades, one can get support from the services through tutorial courses. 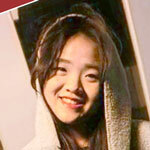 After university, I aim to go back to China and work in the financial industry." Julia was studying A-levels at Westonbirt School but during that time she discovered that her real interest lied in theatre, music and performance. APUK helped Julia to change to a drama-focussed school, Frensham Heights, where she flourished. We later placed her in Goldsmiths University for an undergraduate degree and assisted with her Masters application to RADA. "When I was studying A-levels I was not happy but APUK solved this problem for me. I got into Frensham Heights which was a perfect place to study Drama. For me, the two-year learning was the foundation for my future career. In the year of A2 studies, when I was confused about the UCAS application, I didn't know which university to apply for. As an international student who almost had no knowledge about the academic environment in the UK, the services APUK provided guided me to decide my 5 choices. I really appreciate their big effort and patience in that difficult time. I hesitated to apply to Goldsmiths as I did not think I was qualified enough to apply and compared with my A-level drama classmates, I was not confident enough at that time. However, APUK encouraged me to apply to Goldsmiths which I know was the best place for me to go to. During my three years at university, I have built many strengths on both practical and theoretical sides, which changed my role from actor to director. I have directed two performances in China in my summer holidays of year 2&3. All of those great experiences and outcomes came from the initial significant support from the services in my A2 time. This support from APUK has been a great value to me. The service from APUK has provided me with extreme support while I was facing difficult challenges and down times in both academic study and personal growth. I am very happy and grateful because the service helped me to find my interest, I wouldn't go to Goldsmiths to study theatre without your constant help and encouragement. I would definitely always recommend APUK to my friends." 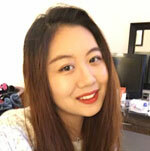 Jialin was studying Accounting and Finance at the London School of Economics but she was unhappy and was not enjoying the course. She realised that her true passion was in education and APUK helped her to change to an Education Studies degree at UCL. "Before I decided to use APUK's university placement service, I also consulted with other agents from London but the other agents were very eager for me to pay and the information they gave me wasn’t really correct. So if I had used them, I would have gone through a lot more trouble and even failed my university application. I met a consultant from APUK and she gave me very important information on the student status – whether I’m a home student or international – and I think the advice she gave me was very useful and sincere. That’s why I decided to use the university placement service. After my degree, I want to do the EYITT - Early Years Initial Teacher Training. And then I would like to go back to China to teach." Initially APUK helped Frida to change to Badminton School as she was not happy in her previous school. We then helped her to overcome challenges, provided a tutor to teach and encourage her and we helped her to gain a place at King's College London. "The staff at APUK have great expertise in secondary and higher education. My advisor is a tremendously responsible and supportive mentor, who gives very helpful and practical advice on university application and is always there for her students." APUK successfully helped Mark to gain a place at ISCA (International School of the Creative Arts), followed by a Fine Art degree at Goldsmiths University and then an MA at Kingston University. We also arranged for Mark to study painting skills with one of the finest traditional school artists in Taiwan. "I would definitely recommend APUK. My consultant took extra miles to look after my well-being. I received great professional and personal advice from her through every stage of my education. I've gained a range of life experiences and great confidence through her service. I am currently planning to start a business in London (pop up art workshops and school) to promote the study of art history as well as practice, during which I will continue to develop my career as an artist." APUK initially helped Kenny to gain a place at St Joseph's College to study A-levels. After achieving lower grades than expected for his A-levels, APUK then helped Kenny to gain a place at Brunel University studying International Business. Following this, we helped him to find his true passion in Design Management at Ravensbourne University. "Under APUK's guidance and support, I was fortunate enough to be admitted into St Joseph's College. When I was in distress about my university application, the education consultant helped me to secure a place in Brunel University. During my time as a university student, whenever I encounter challenges in my course, such as essay writing, APUK were always there to offer me valuable suggestions and support. They advised me to seek for extra academic support during the holidays in order to enhance my writing skills. Successfully completing my 3 years International Business degree is thank to their support and guidance. In comparison to other Education consulting firms, not only does the APUK team provide the service, their personal care, attention and guidance to each individual student is the main reason I chose APUK during my study. I have also recommended APUK to my friend. My friend is also happy with the service." Carrie initially booked a student guardianship service with APUK during her time at St Margaret's School. Through our University Placement service, we later helped Carrie to choose which universities to apply for which suited her quiet personality. "In high school, APUK acted as a bridge between me, my school and my parents - from daily communications to actively encourage and support my school activities and attending my graduation. They also provided me with relevant and professional information for my university application and course choice. They helped me to choose the right university degree and universities which are suitable to me. They also assisted and proofread my personal statement. All the consultants in the company were very friendly, approachable and patient. I could go to them seek for help for any issues. They were also very efficient, especially when dealing with emails, and liaising with the school. My future plan is to work for either a business cooperation or an accounting firm, and gaining the ACCA and CPA certificates."